Directions: To reach from the side we did, you'll need to park on Victoria Street and hike up to the start on Parkside. 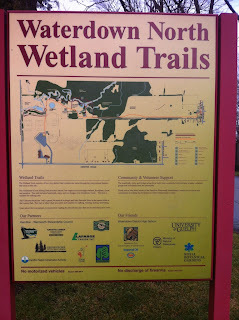 This is one of the first trails I've headed to in this new year that I hadn't heard of until I saw a reference to it on eBird. 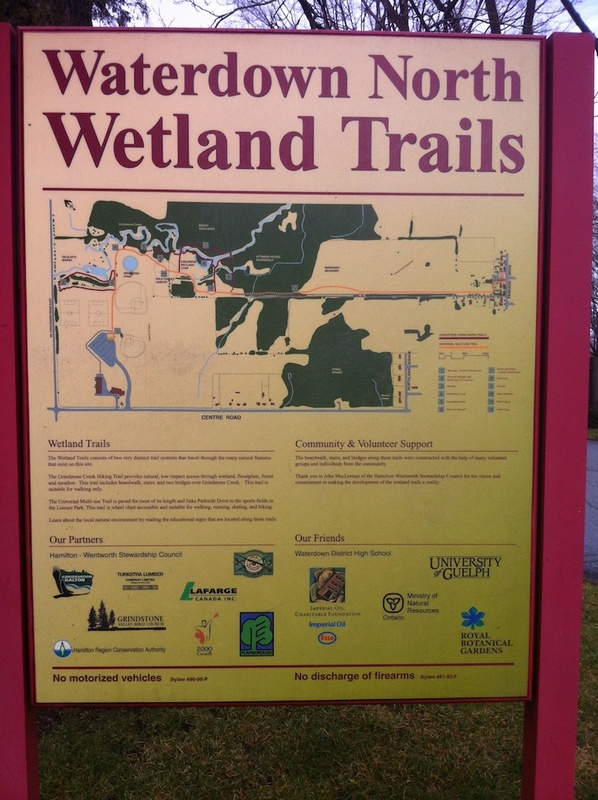 A quick Google search later, and I find that there's this whole trail system in Waterdown I'd never heard of before, and it's even paved if you want to bike it (though I'd avoid trying to rollerblade it as there's also a lot of boardwalk too). We came here today to do a fairly easy walk (no maps to consult), and that's pretty much what is was. 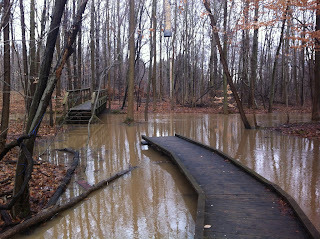 Until we ended up on a boardwalk that was washed out, that was. 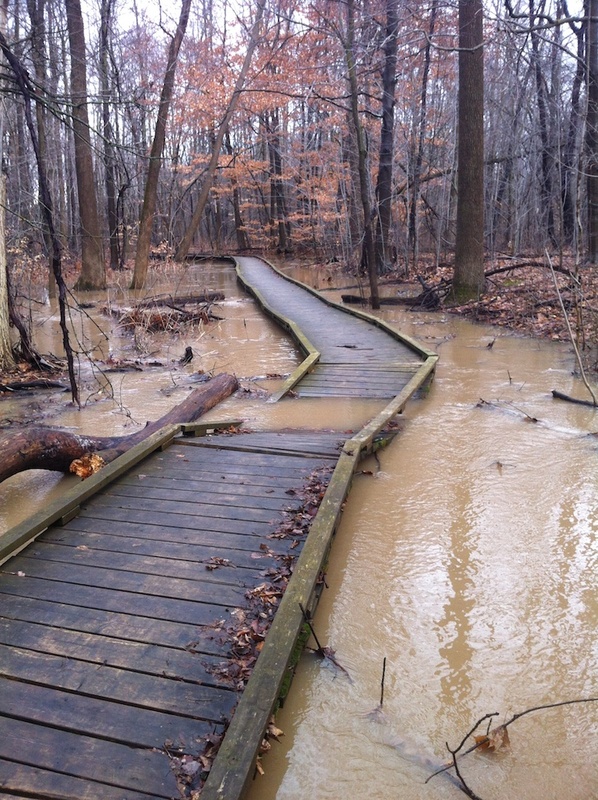 Unfortunately due to the warm weather this weekend, Grindstone Creek was very, very much overflowing over its banks, swallowing up the Grindstone Creek Trail in the wooded area of this wetland trail system. It was actually pretty much impossible to cross the creek since the walk to the bridge over it was completely washed out. The bridge seemed fairly new as this whole trail system is, I'm wondering if there was a gross mis-estimation about how high this creek can get, as this melt didn't seem all that dramatic in other parts of the region. 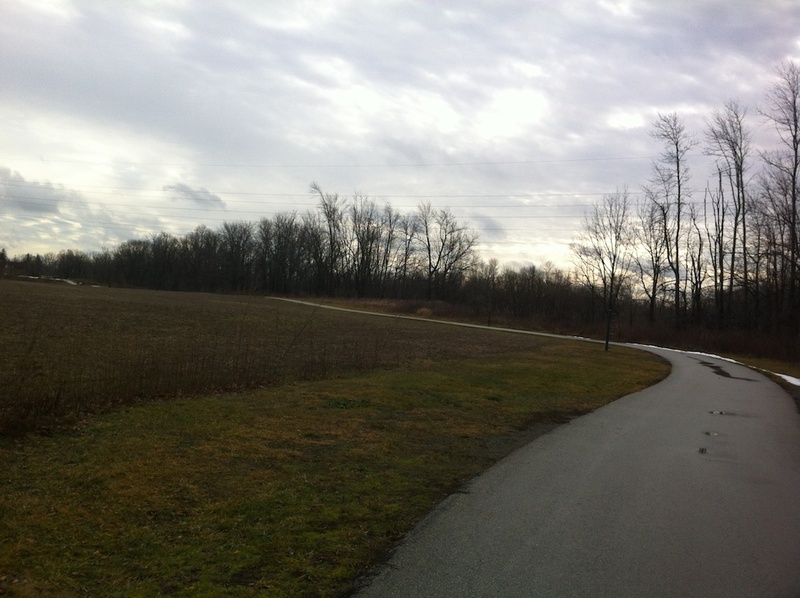 The main trail from the Parkside entrance walks through an open field, yet is completely paved. This is probably the only place in the region that I know of that has this feature. 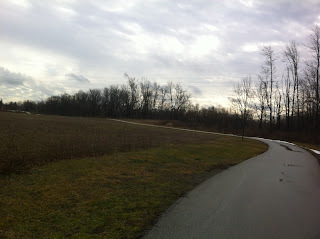 Most paved trails are quite urban, and most rural trails go through wooded areas, not open and actively farmed fields. 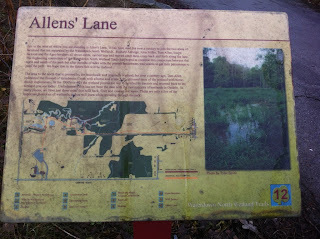 This trail is quite unique. 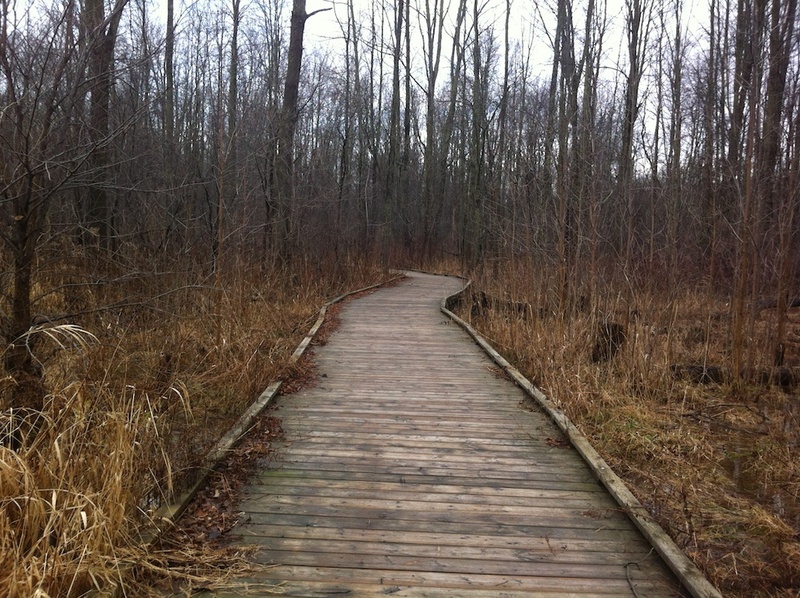 The boardwalk section of the main trail itself was quite well-intact, it's part of a former access road for farmland here, and merely crosses a swampy section -- no creek here. 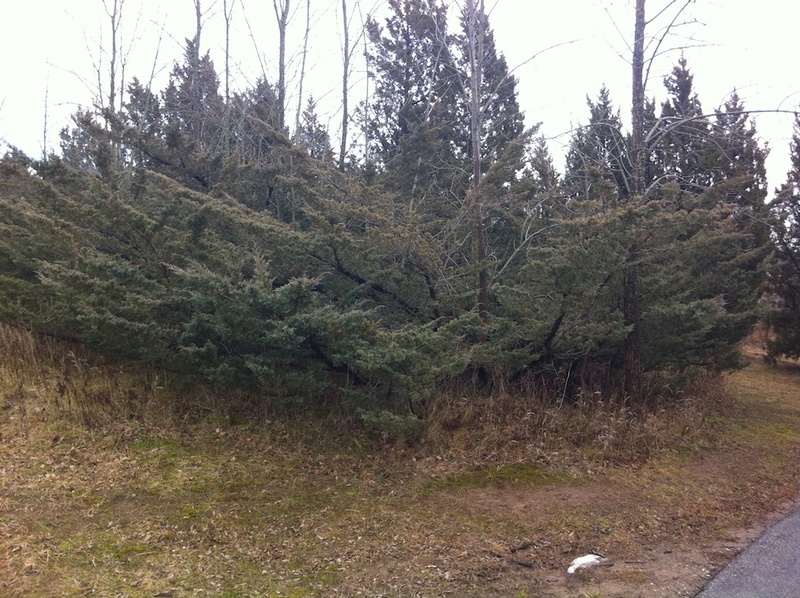 There were plenty of the usual bird species for the regions, Downy Woodpeckers, White-breasted Nuthatches, and Black-capped Chickadees. 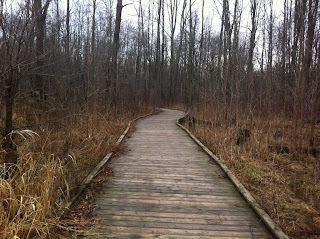 The main trail extends all the way to the next block -- Concession Road 5 East. 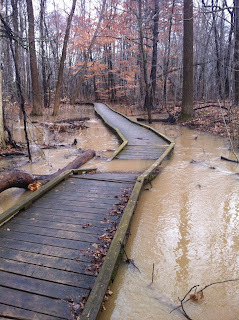 Today we got half-way there, explored the washed-out part of the boardwalk side trails as much as we could, and headed back. Another day we hope to return here, and see how the trail fairs from the other side, and maybe get a chance to cross the creek. 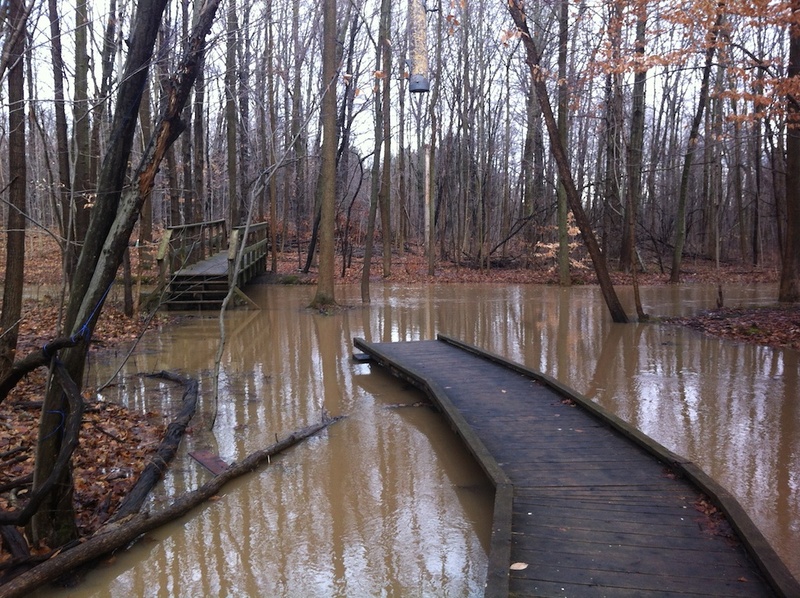 Grindstone Creek boardwalk... washed out! We made it across. Might look scary, but was actually only a couple inches deep.